Lindsay Lohan was the star of the iconic Mean Girls in 2004. And the 32-year-old actress gave the stamp of approval for Ariana Grande’s Thank U, Next music video which pays tribute to the Tina Fey-penned comedy. However, the Freaky Friday star began the caption with a shout out to herself. ‘Behind the scenes. 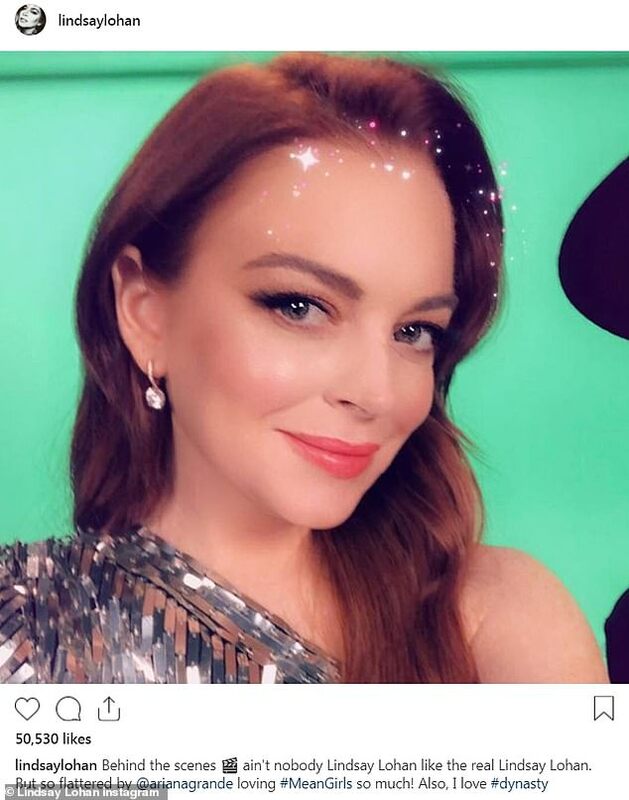 ain’t nobody Lindsay Lohan like the real Lindsay Lohan,’ she wrote next to the glamorous selfie. And she ended with: ‘Also, I love #dynasty’ which refers to Dynasty star Elizabeth Gillies who is playing Lindsay‘s role of Cady Heron in the video.